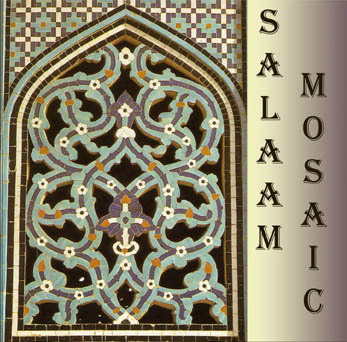 Mosaic , Salaam's third CD, was released in 2000. It is a collection of favorite songs from Salaam's first two albums, and some recordings that would find their way onto the 2001 release, Laylat Salaam. 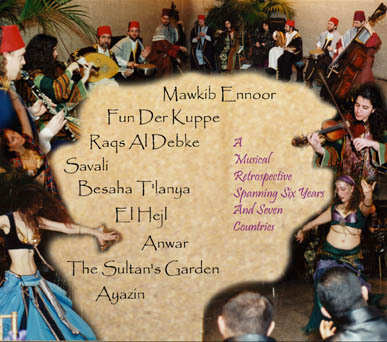 This album also includes a unique recording of Dena El Saffar's Sultan's Garden (aka, My Feet are Pregnant with Fish). Mosaic presents a musical retrospective, spanning six years of recording history, and representing the music of seven different countries. This is a good sampler CD for anyone having trouble choosing!